Cleartrip is a renowned travel portal that gives the visitor the simplistic way of planning travels Search, book, go. That’s what they are about – Making travel simple. They provide services for Air ticket, Train and Hotel bookings. 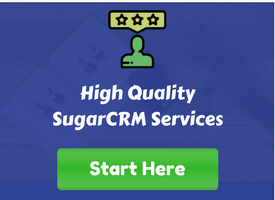 It was looking for a SugarCRM partner to customize upgrade and enhance the solution for them. 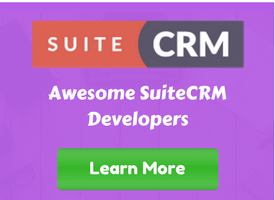 Though they had developers, they were looking at hiring SugarCRM expert development team who can fit the bill. The main requirement was to implement solution for the travel based need. Veon leveraged its understanding of implementing SugarCRM for travel and Leisure domain for this assignment. Cleartrip has a huge customers database accumulated over the years which is used for subsequent functions like customer care, campaigns and help desk activities. Cleartrip was running on an obselete SugarCRM Version 4.x and immense volume of data with many suspected duplicates. It needed to be fully integrated with the online portal to have one common 360 degree view of the customer. The organization also needed to have new custom modules to capture entire business process in SugarCRM. Veon developed a solution which took the following features which are typical of a travel portal. Following is a list of such features. Complex PHP Script to analyze duplicate information and to merge them into a single customer record along with merging subsequent sub-panel information. This ensured quality and sanctity of data and maintenance of 360 degree view of the customer in the most effective manner. Unnecessary data not required as per business needs of Cleartrip were automatically set for archival. This helped reduce the processing time by 60-70% in certain key transaction. We did a full fledged integration with Online Portal with many integration points so that business data could flow down into SugarCRM. This helped in getting the entire data visible to the customer support executives. Thus enabling them to deal with customer issues in a much more effective manner. Custom developments like Air Fulfillment, Hotel Fulfillment, offline payment and refund were developed. This helped in recording many more entities within SugarCRM. Earlier they were tracked manually and fed directly into the Booking Engine. Customers were profiled based on their preferences and ticket booking pattern. This profiling was used in targeted campaigning. This has been also discussed in the business benefit sections below. The solution helped trim and enhance the data quality, reducing transaction time by almost 75%. This was specially helpful for the customer representatives who had to pull out the customer records and respond to the customers service requests. Custom development done, helped in pulling all the reference data for the support desk so that they could respond to all their calls without having to refer to Booking Platform. After removing the duplicates, a complex algorithm was developed to put a value to the customer based on number of transaction done in the past. This was used in prioritizing response to customers who were more valuable. Targeted campaigning based on customer profiling lead to much better response to email marketing and newsletter. Following are the key business benefits achieved. The customer support team had instant view of the customer who was calling in and were able to retrieve their recent and past transactions in a much easier manner. This helped the support team in shortening the service lead times. Based on the previous transactions , customers were categorized based on parameters like amount spent and number of transactions done in the last 12 months. This was helpful in ensuring that high value customers never had to wait long for their calls to be attended. Based on the available history, the system automatically profiled the customers based on the usual sectors taken for the travel, travel mode present and whether the customer is a business or personal account. This helped in sending targeted email campaign based on the profiling. As the business volumes were large, the data archival was set up in a manner which could be automated and can be run automatically. This helped in archival of transactions which were no longer required by the business team. It helped in keeping the application fast and tidy. The above solution truly reflected the creativity and problem solving by the entire project team and utilizing the application in the most effective manner. Several workflows and automation were done to ensure that the process of handling customer requests could be as automated as possible.